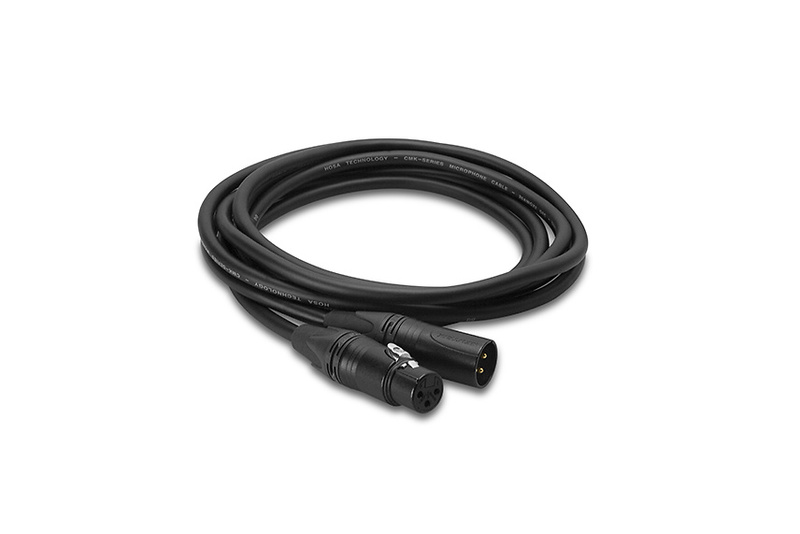 Hosa Edge Microphone Cables are designed to provide a lifetime of outstanding performance. Genuine Neutrik connectors combine with world-class manufacturing techniques to deliver a noise-free signal transmission ideal for any stage or studio. 20 AWG Oxygen-Free Copper (OFC) conductors reduce resistance for maximum signal transfer. Stranded-copper conductors and Polyethylene dielectrics in precisely balanced geometry reduce capacitance for crystal-clear high-frequency transmission. With OFC Braids to reject electromagnetic interference and Conductive PVC to absorb handling noise, Hosa Edge Series Microphone Cables deliver noise-free signal transmission and the most neutral, dynamic sound quality in their class.